Reasoning about mechanisms is central to understanding relevant components and cause–effect relations of phenomena in science. Explaining mechanisms is, thus, an essential practice in natural sciences and STEM disciplines. Accounts from philosophy of science provide insight into the nature of mechanisms and mechanistic reasoning and how knowledge about mechanisms is gathered and evaluated. Mechanistic reasoning comprises reasoning about the entities and activities involved in a process and the way these entities and activities are organized. These theoretical considerations combined with an educational perspective on students’ learning provide a lens for the methodology of educational studies, e.g. for the analysis of students’ productive resources or for curriculum changes. 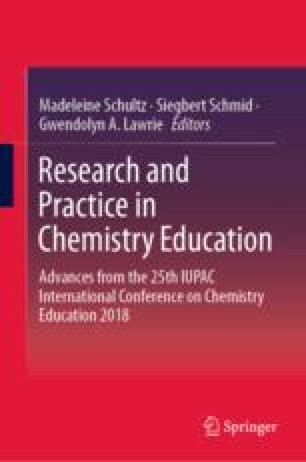 This chapter outlines how accounts from philosophy of science have been used to inform research on student learning from primary school children’s descriptions of physical phenomena to multi-level reasoning processes in undergraduate biology classes. Depending on the nature of the discipline and the educational objective of the study, different aspects of what constitutes mechanistic reasoning from philosophy of science have been adapted. Specifically, we illustrate how accounts from philosophy of science helped us characterize students’ reasoning processes about organic reaction mechanisms.